Cafe Avalaun is Ohio’s first entirely gluten-free cafe, bakery and crêperie. They also offer some dairy-free, soy-free, and peanut-free options, and everything is clearly marked on the menu board. 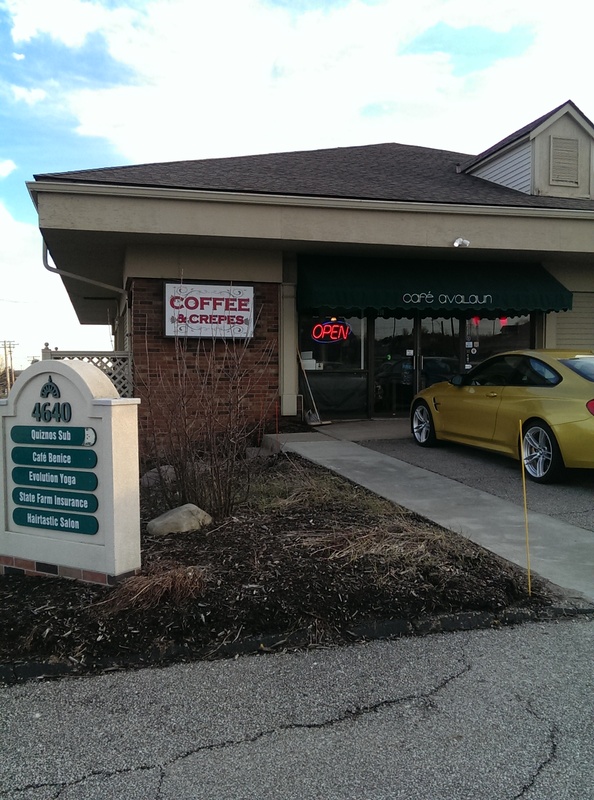 It is located on Richmond Road just off I-480 near the I-271 split. The Doyles switched to gluten-free diets for their son and for their own health, so they are extremely knowledgeable. Brian Doyle has worked in numerous kitchens in Cleveland, including the Beachland Ballroom, and offers his catering services through Sow Foods. This place has made my mother extremely happy, and that is all tha t matters to me. My mother developed ulcerative colitis about six years ago and cannot eat any gluten or dairy without having severe problems. She is thrilled to have a totally gluten-free restaurant that is sensitive to other dietary issues. My mother loves being able to go here and confidently order off the menu without worrying that there is some butter or gluten hidden in it. I took her here for the grand opening, and she has gone back numerous times since then. My father has no dietary issues and has had to suffer through the early years of gluten-free food because my brother-in-law has celiac disease. Even my dad, who complains about the gluten-free and dairy-free food at the family dinners, loves their paninis, so those without sensitivities will also enjoy the food. We recently met friends for their Lenten Fish Fry, which was great. They opened special hours for it, and the place was packed. We had to fight for a table, despite my arriving there first. Seating is tight since it is so small. I decided to order the lobster bisque and a small fish dinner, which came with a side salad and a small gluten-free roll. The side salad came out first. 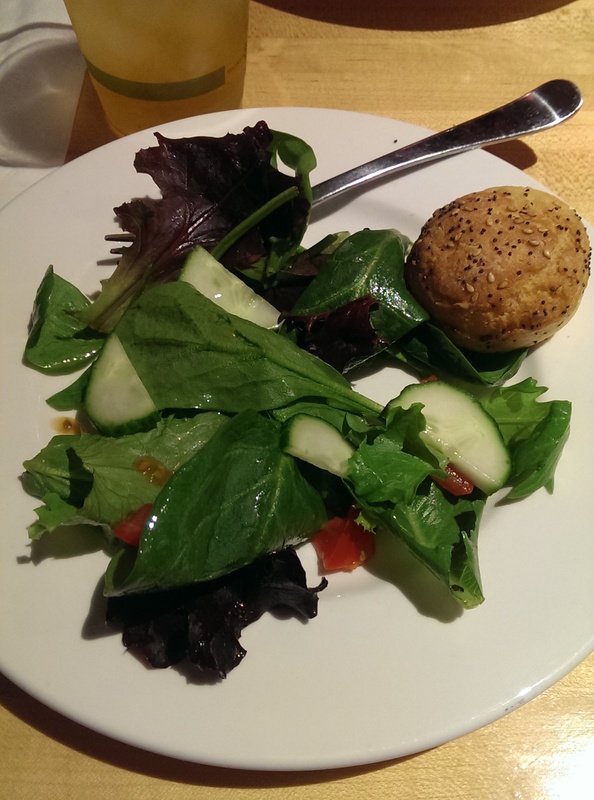 It featured mixed greens, cucumber and tomato, and it was lightly dressed with a light vinaigrette of some sort. 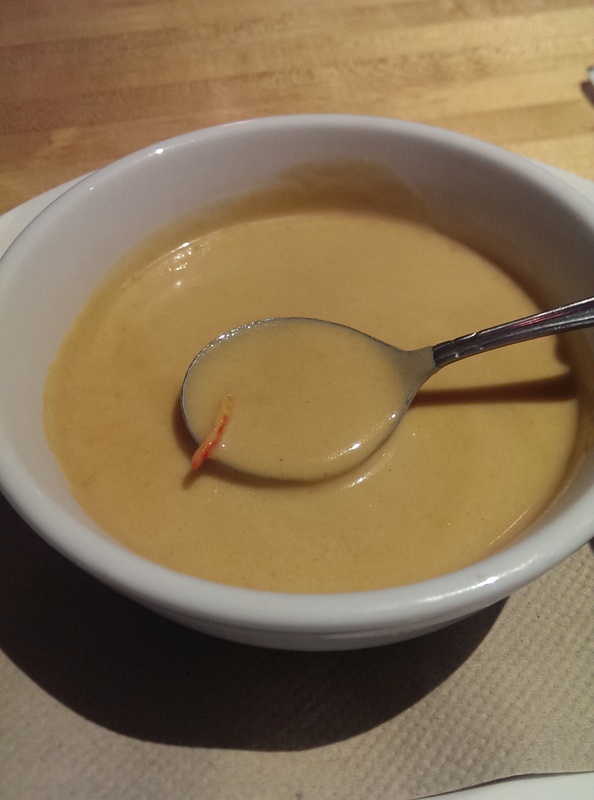 The lobster bisque was delicious, even if the lobster meat was largely absent. The bisque had a very nice flavor to it, and was my favorite part of the meal. Everyone also raved about the fish dinner. 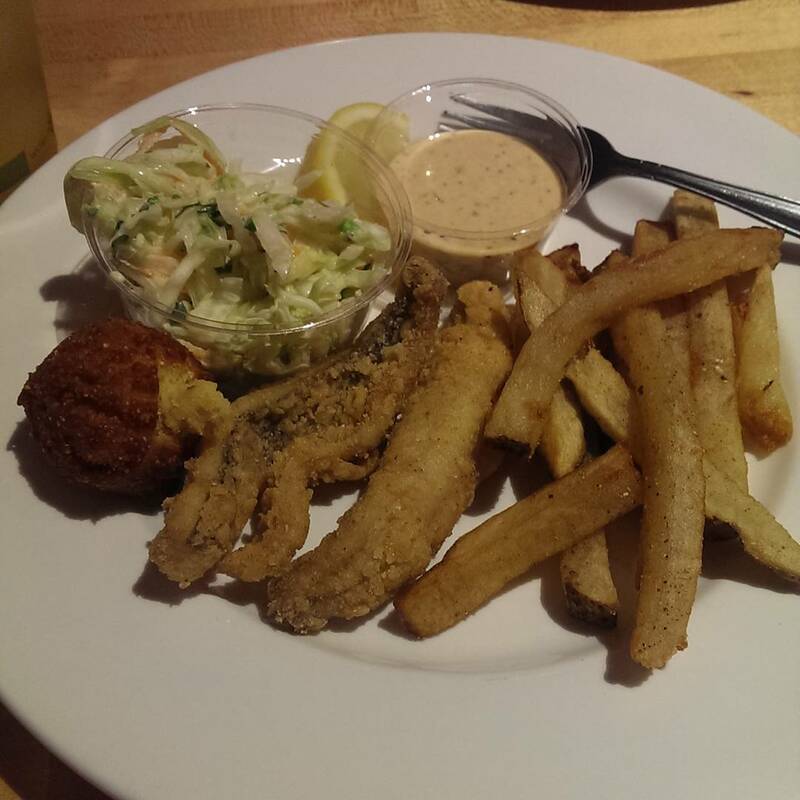 The fish dinner featured gluten-free battered perch, french fries, a delicious hush puppy and housemade cole slaw in addition to a remoulade. We got to watch Brian fry up the orders in the kitchen as we stood in line to order. Everything was extremely fresh and flavorful. I am thrilled that this little cafe is so successful. At the grand opening there were so many enthusiastic people who were overwhelmingly overjoyed that they finally had a truly gluten-free restaurant. The place was jam-packed. I could not tell you how many people literally had tears of j oy that day. The enthusiasm has not waned. 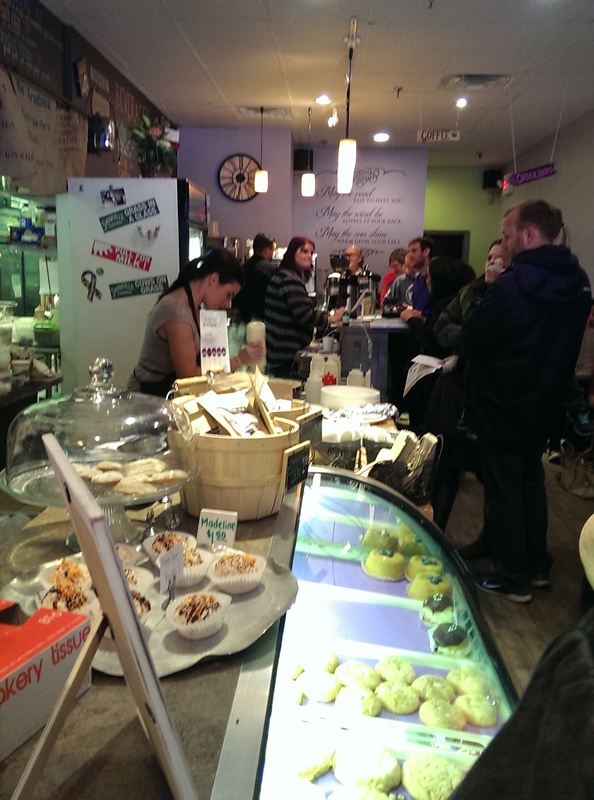 The bakery items and cafe items are delicious as well as being tailored to special needs. They are best known for the crepês and crepêritos, which are crêpes that are rolled up like burritos and stuffed with delicious fillings. 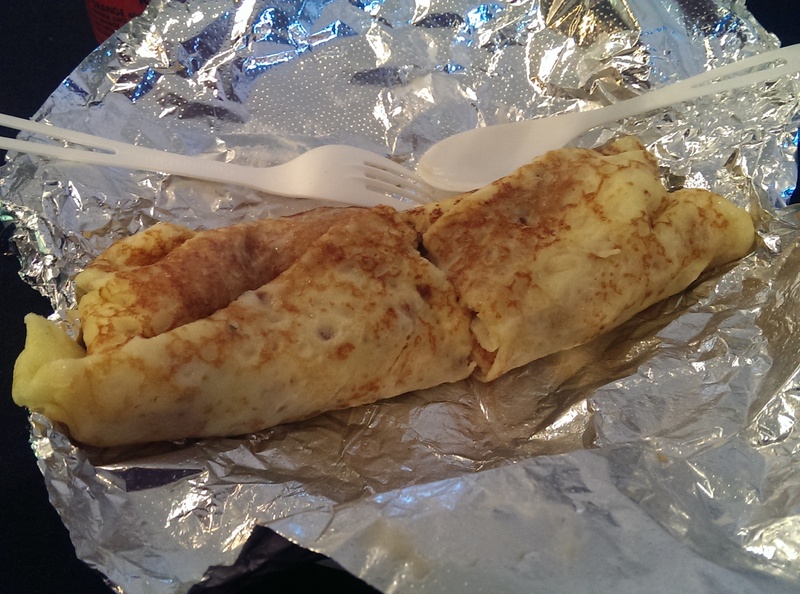 The crêpes and can crepêritos be made blonde, buckwheat, or dairy free coconut. Some of the crepês cannot be made into crepêritos, but they are clearly marked. I ordered the Clevelander crêpe at the grand opening (which is why it is shown in foil and with plastic utensils), and it was delicious. It was a nod to a pierogi, with cheddar cheese, caramelized onions, and mashed potatoes wrapped up in a light crêpe with crème fraiche on the side. 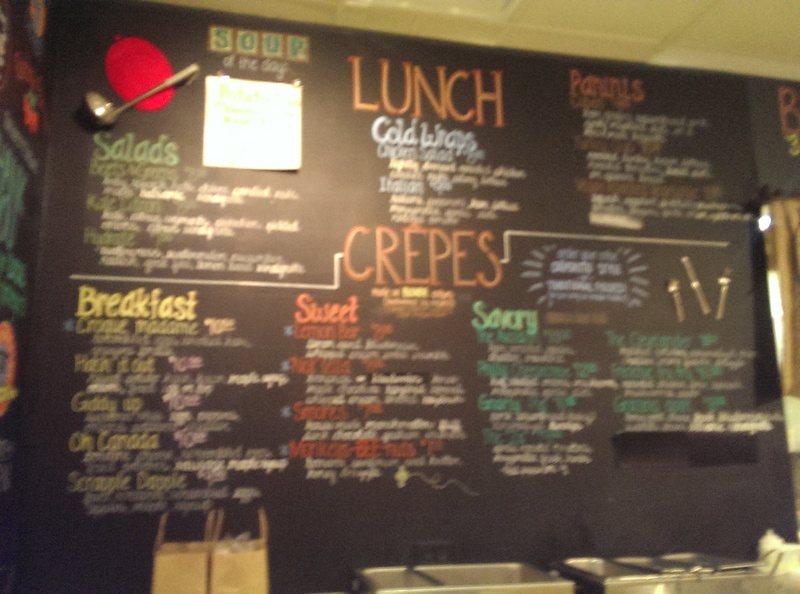 If you like pierogi you will love this crêpe. 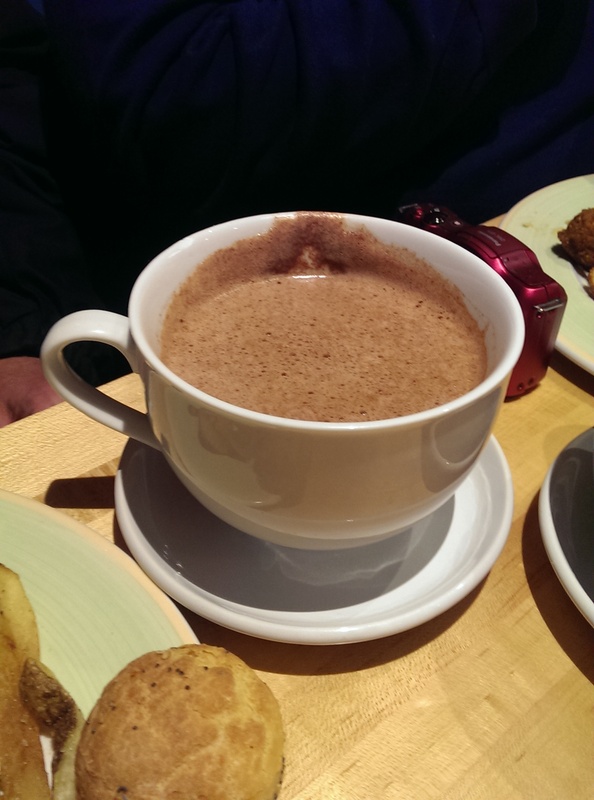 Some of my friends absolutely adore the Mexican Drinking Chocolate, which is made with 64% dark chocolate, cinnamon, and dash of chipotle. It is seriously good! They serve lots of coffee drinks with custom-roasted Crooked River Coffee, Storehouse Tea, and something called Keto Coffee, which is an Americano blended with grass-fed butter and coconut oil. I would also be remiss not to mention their amazing gluten-free baked goods. As their website explains, “Café Avalaun’s in-house bakery offers daily selections of classic American and French-inspired baked goods. Every item is completely gluten free and made from scratch, under the expert supervision of Pastry Chef Maggie Downey.” Maggie most recently worked at Coquette Patisserie before joining Brian at Sow Foods. My mother loves chocolate chip cookies. Like seriously loves them. She missed them when she could no longer eat them. Now she comes in and gets a dozen whenever she can. She bought the last one at the Fish Fry and ate it after her meal. The brownies have been described to me as “crack.” Especially the ones with chocolate ganache. One of the stylists at my salon down the street is gluten-free and absolutely adores the brownies. The lemon bars are bright and delicious, as is all the other baked goods Maggie makes every night. 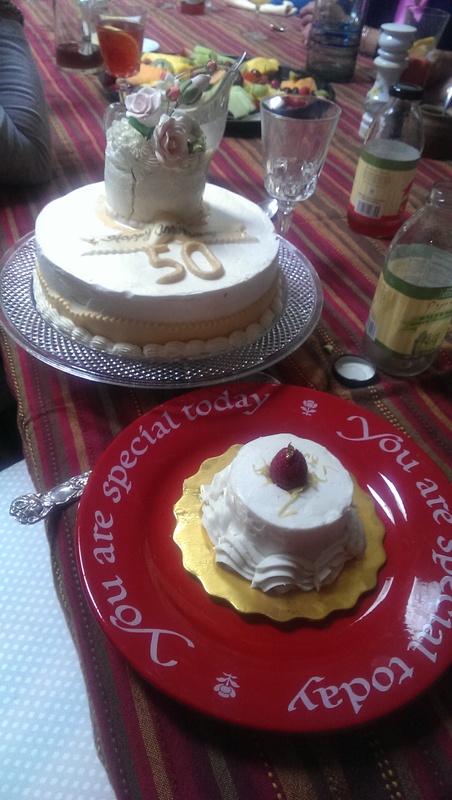 Also, Maggie made my parents a gorgeous gluten-free cake for their 50th Wedding Anniversary in July as well as a little gluten-free/dairy-free cake for my mother. You can order gluten-free bakery items and bread in advance as well using their order form on the website. Thanks to the Doyles and Maggie Downey for opening this little oasis for people with food sensitivities. My mother appreciates being able to confidently order anything on the menu and knowing it will be gluten-free and dairy-free. And that is priceless.